I haven’t told you yet, but this year we got a new principal. Oh, and we also got a new Assistant Principal, a new School Designer, another math coach, and added another teacher to our Leadership Team. So needless to say, the start of this year has been one of change and adjustment for me, and the school as a whole. But it’s cool, because as Peyton Manning says, you always have to be prepared to adjust. One of the pieces we had to work through, was the clarification of coaching roles and responsibilities. With all of the new folks on board, Deb (my math coaching buddy) and I felt this was an important to-do in supporting our work for the year. The question, “how do I clarify my role and share with teachers?” is one I get often, so I hope this post will be helpful. Whether you’re a first year coach, a coach going through a period of transition, or even if you’re a fairly seasoned and stable educator, I believe this is important thinking for all of us. Here are the steps we took to clarify our coaching roles and responsibilities, and get everyone on the same page in moving forward. The first thing we did was request a day and time for the whole leadership team to come together. An hour of time was requested and the outcome was defined as: To develop shared understandings of the roles and responsibilities of Instructional Coaches. We felt that actually coming together to present what we do to our new principal and the other members of the leadership team was critical. Emailing a summary of our work for review didn’t feel sufficient, and we wanted to ensure that all questions were addressed. If you don’t have a colleague to brainstorm with, try using this list above to get some ideas going. The next step was to come together, present, and get on the same page. In this discussion we were also able to clarify our beliefs that coaching is a partnership approach, non-evaluative, and the confidentiality of coaching conversations is to be respected. Because we had prepared well, remained open, and clarified key points, the meeting was a success! We recorded next steps on chart paper and were ready to move on to sharing with the staff. 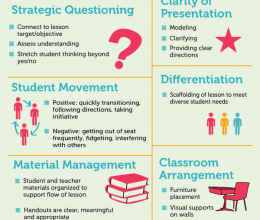 If you’re able to hold a staff meeting to share your clarified role as an Instructional Coach and how your work connects to the school’s overall support structure, my vote would be to start here. I realize though, that in many cases an in-person staff meeting isn’t an option, and so email is your next best bet. For us, we had a staff meeting a few years back, and since then have largely built a strong ‘culture of coaching’. So we didn’t see the need for this again. To be transparent however, we did want to share the outcomes of our meeting with new and returning teachers alike. We delivered this via a simple and concise email. 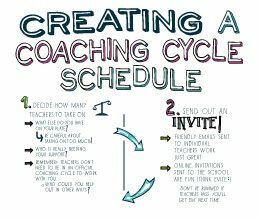 From there, I have further worked to clarify coaching cycles with teachers on a one-one basis during our kick-off meetings. Can I easily explain the work I do as an Instructional Coach to others? Do I feel clear on the work I am doing on a daily basis? Am I on the same page as my principal and leadership team as to my coaching role and responsibilities? Do teachers clearly understand how my work connects to the school’s overall support structure? Do teachers understand how I am able to support them as a coach? Hmmm. If you’re not feeling super confident in answering YES! 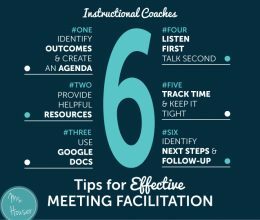 to any of these questions, consider if there may be some further work to do on clarifying your Instructional Coaching role. If you have any thoughts or questions that I may be able to help with, please share in the comments below. You can also always reach out to me through email. I’m here! 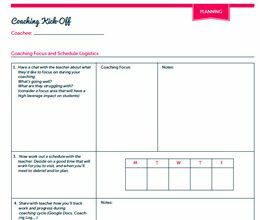 PS: If you’re interested in learning more about Coaching Cycles, make sure to sign up for my Coaching Cycle Workshop! It’s available now!